The Gelfand Clinical Research Lab designs and conducts clinic-based and population-based observational studies and interventional and translational clinical trials in common and rare skin diseases. Dr. Gelfand and his team focus on pharmacoepidemiology, patient centered outcomes and effectiveness research, psychometrics and instrument/diagnostic test development, and human translational studies aimed at the development of novel treatment approaches and further understanding of disease pathogenesis. A major goal of the Gelfand Clinical Research Program is to improve psoriasis patient outcomes in the skin and joints, while lowering the risk of diabetes, cardiovascular disease and mortality. Current research projects include: the Dermatology Clinical Effectiveness Research Network (DCERN), which collects data from dermatologists across the US to evaluate effectiveness of psoriasis treatments in real world settings; the Incident Health Outcomes and Psoriasis Events study (iHOPE), a study of 9000 psoriasis patients which evaluates how body surface area of skin involvement influences risk of cardiovascular disease; Vascular Inflammation in Psoriasis trials (VIP), which are multi-center trials that will determine the impact of psoriasis treatment on novel biomarkers of cardiometabolic disease; and the ASPIRE study, which investigates the effects of narrow-band ultraviolet B phototherapy on psoriatic plaques. Welcome to our newest members of the team! Read more about them on our Team page! Teresa Tran: lead PCORI Coordinator. Ms. Tran was selected among a competitive pool of applicants to be the lead coordinator on our newest trial. Morgan Kelly: newest VIP Coordinator. Ms. Kelly will be assisting on all our VIP Trials. She was chosen among a large pool of applicants for her role. Joy Wan, MD: dermatology fellow. Dr. Wan received a grant from the National Psoriasis Foundation that will fund her fellowship. Maxwell Roling: research fellow. Mr. Roling received a grant from the National Psoriasis Foundation that will fund his research. 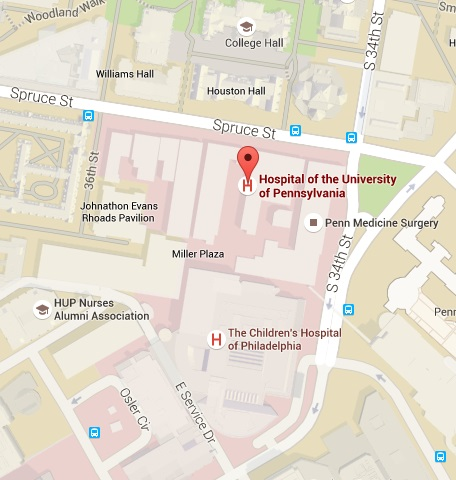 Where's the Gelfand Lab? 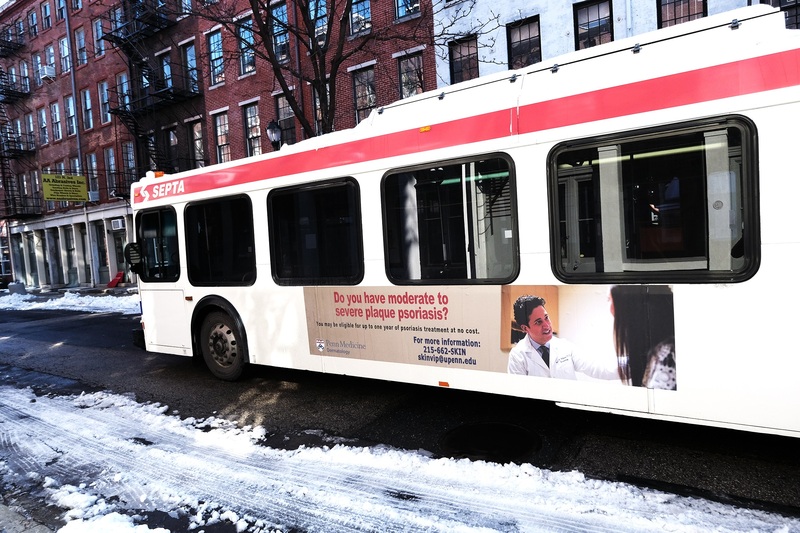 Find our bus ads throughout the streets of Philadelphia!